We are so excited for this season and can’t wait to share some new things with you. 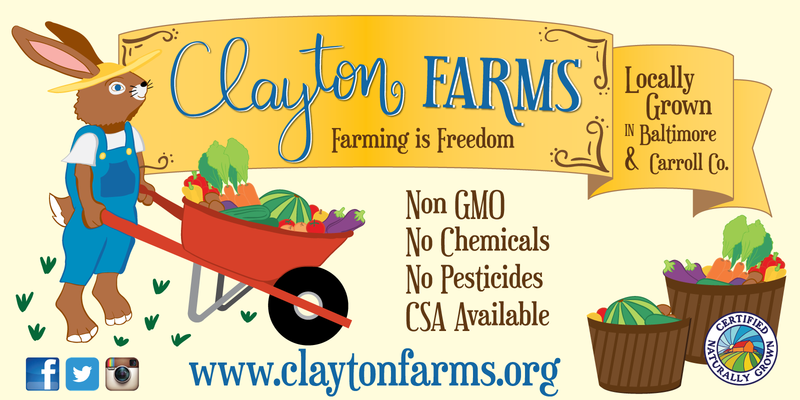 Clayton farms is growing and we are looking forward to having you grow with us. We have a wonderful new updated website thanks to the amazing help of Jason Stambaugh. This year we have introduced the Clayton Farms mascot, the Jackrabbitt. He has made his way onto our new banner, business cards, and we are working on stickers and other things. The biggest news for this spring is we have NEW LAND. Thanks to the generosity of a good friend, we are beginning the process of farming an additional 3 acres!!! Clearing 3 acres and turning an overgrown field into a farm is a big task and a labor of love. Keep an eye out on here and on our facebook for volunteer days! We are expanding our CSA and looking for more restaurants and stores to connect with. Feel free to contact us with any questions you might have and we can’t wait to grow you some delicious organic veggies!